I didn’t realise just how much time could be spent playing with a kitten. And when she’s not playing, she’s sleeping…. She is very, very cute. And such a help as a paperweight! 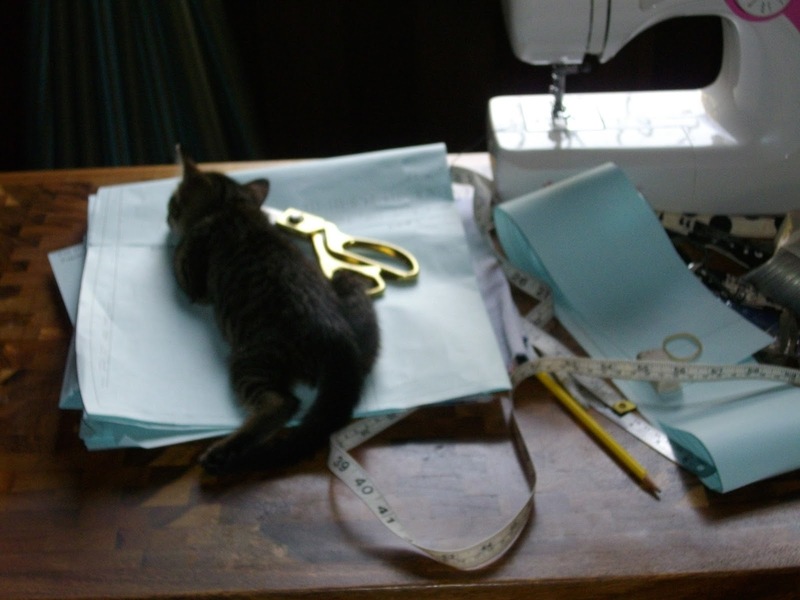 It's good to have a sewing friend/fiend. Cute as a button. So easy to get distracted by a kitty..
Aren't they? She looks like quite a 'wild' cat sometimes. Yes, I was quite surprised just how easy and for how long….. So cute! I love cats but I'm so allergic. What a sweet distraction. She looks like she adopted you and moved right in. Oh no. Doctors thought I was allergic once but fortunately they were wrong. Yes, I am very lucky! She is certainly making herself right at home very quickly.